Nine months after taking us to China, Assassin's Creed Chronicles Trilogy is finally back in time to deliver the second episode which will take you to India this time. After completing the game and trying the sort of VR MGS style missions available in this new opus, we can tell you what we think of it. As usual, you'll also find direct feed videos of the game inside (PS4 version). 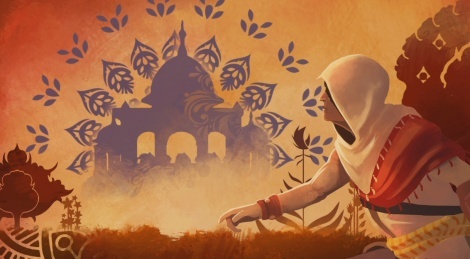 It only took us around five hours to complete our first playthrough of Assassin's Creed Chronicles India, but keep in mind that the game incites you to try a harder difficulty setting (only normal is available in the beginning). Setting the best possible scores for each of the 10 levels and unlocking the remaining upgrades of the hero offer good replay value, especially since one upgrade per level can only be won if you play in plus or Hard Plus mode. Added to that, the true new feature is the addition of "VR" style missions similar to what Kojima did in Metal Gear Solid. They are pretty nice to play but it's a shame there are so few of them (only 6 total seems pretty stingy), so let's hope the last episode in Russia will make it up. 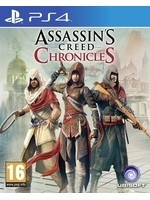 Other than that, it plays pretty much the same as AC China, which is good and also a bit disappointing in that it does not have much more to offer. Story is sadly not interesting for the fans - or anyone else for that matter - and combat hasn't been improved over the last installment, but the colorful setting and the better pace of the adventure make it a pleasant experience in the end. It's just a shame it can never be more than just that. Me too i like Single Player games more but as you see every studio try hard to kill the SP mode... look at ubisoft and what they did on the sp on Rainbow Six and the upcoming game For Honor... they made a sp mode based on the mp mode... too bad. I am pretty sure the decision is made up the management rather than devs.